Before I show you some more photos I’ll just answer some of the questions raised in the comments on the last post. 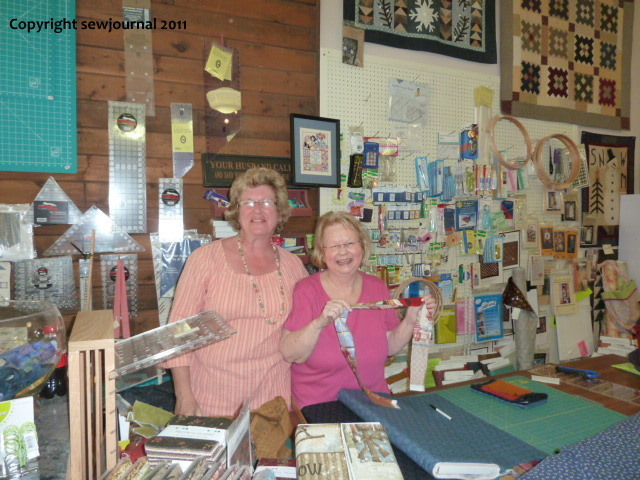 Fran – Thanks and I’m looking forward to visiting again too. Cheryl – I guess what I find different in the homes I showed is that slightly “grand homes” in Australia are not usually made of weatherboards like these ones are. The grander homes are made of brick or stone. I find the larger weatherboard homes very picturesque. 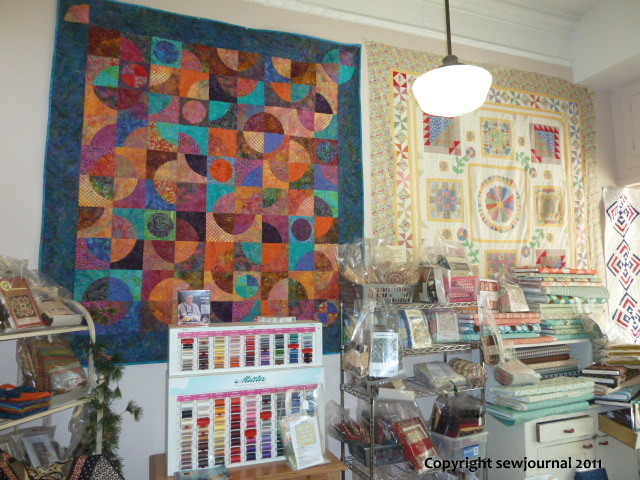 This Wellsboro quilt shop is my favourite of all the ones I visited. Mainly because of the people. They were lovely and so amazingly helpful. 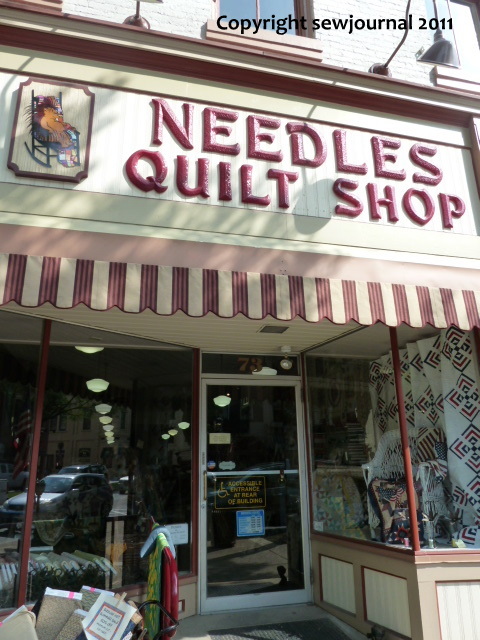 The shop has a really nice balance between modern and old-fashioned values. 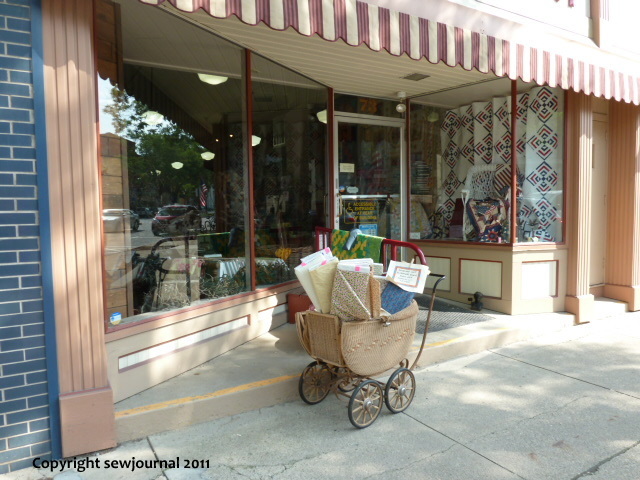 I was looking for a plain “cheddar” fabric for my friend Di (3) and though they didn’t have it as a plain they went out of their way to find a real cheddar as documented in a book of civil war fabrics. 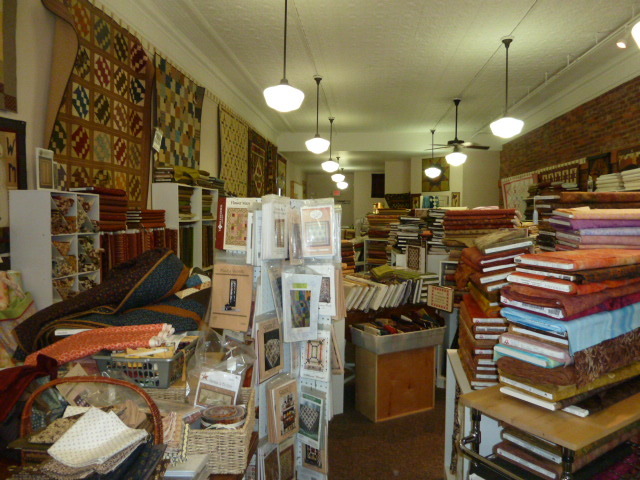 The they searched their shelves to find a fabric that I could use as a sample to search for it in other shops and they gave me a sample. 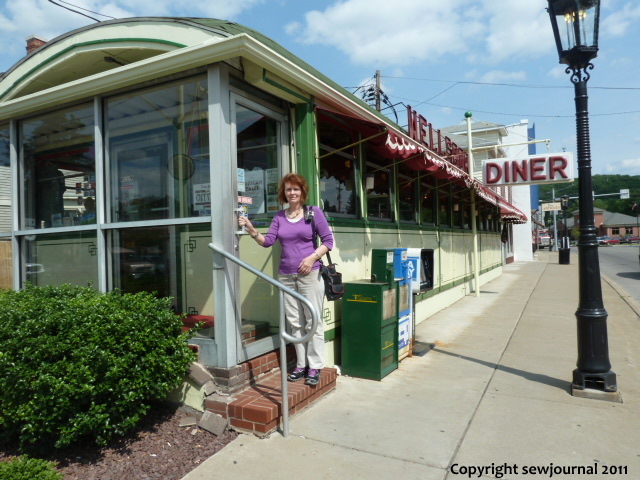 While in Wellsboro Sylvia and I had a late lunch (3.20pm – time flies when you’re having fun) at the Wellsboro Diner which is one the very few original diners left. 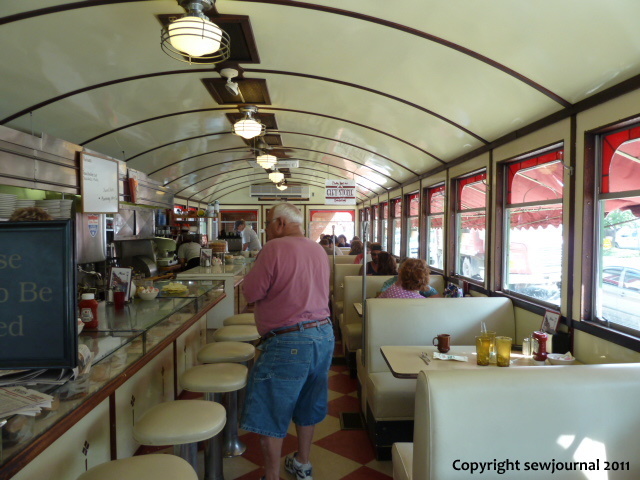 This one opened for business in 1940 and is really a cute place to eat. The food was really good too. 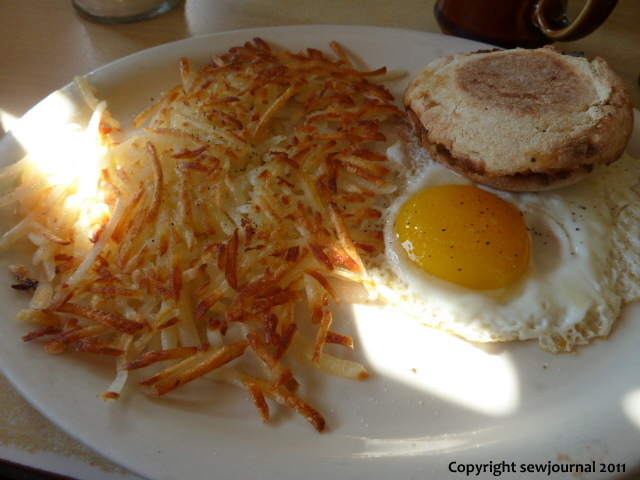 I had real hash browns – the best I ever tasted – crunchy on the outside and soft and creamy in the centre. 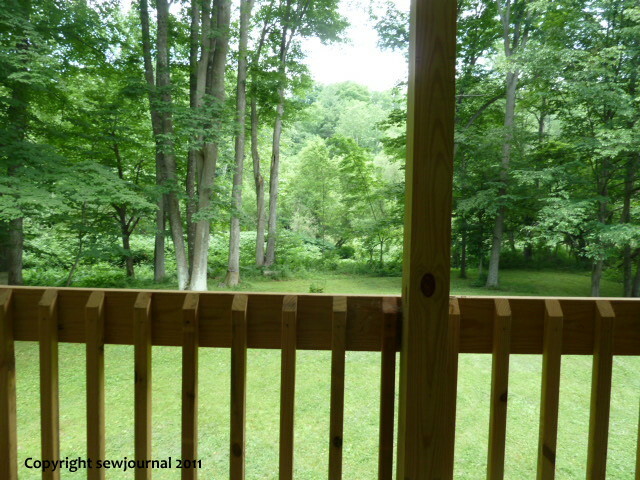 Sylvia has a lovely hideaway cabin on the slopes of those wooded hills you saw in the Pennsylvania Grand Canyon in the previous post. (At least I think that’s where it is. 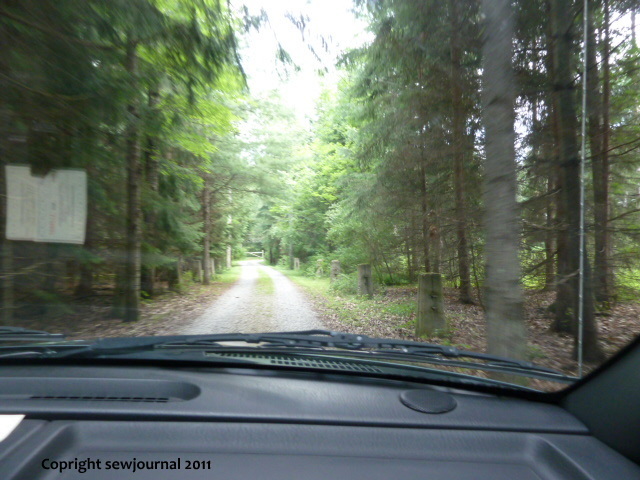 You know how it is when you’re a passenger you tend to lose all sense of direction. – Sylvia please correct me if I’m wrong.) 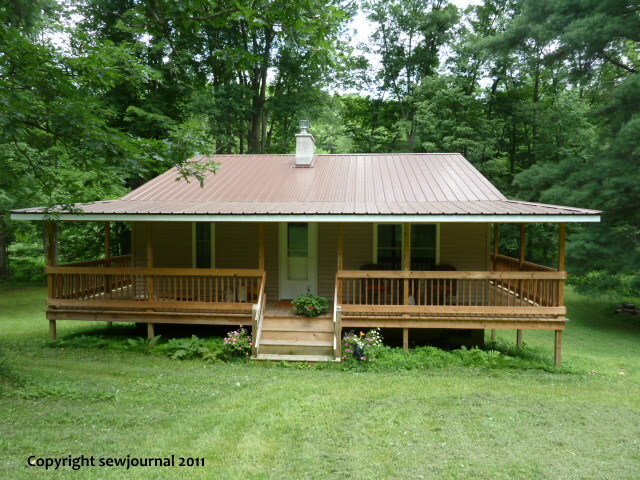 It’s a lovely one bedroom cabin that she and her husband Wayne are renovating. 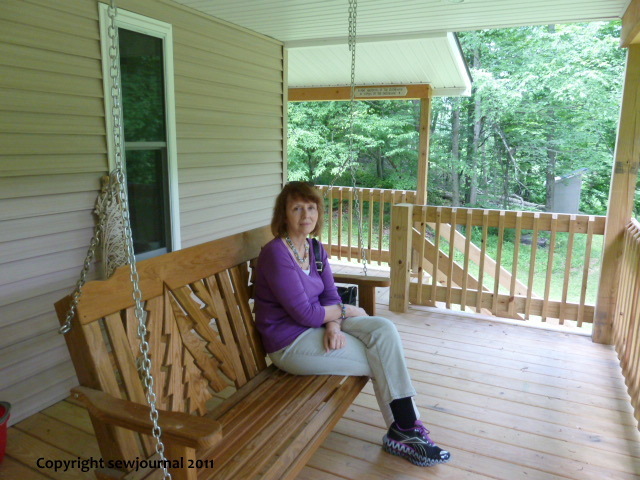 It was great to sit on the porch and swing on a real porch swing – something I’ve never done before.